Plumbing Installation & Repair, Water Softeners, Filtration Systems & Much More! M&C Orsack Plumbing Contractor | Residential & Commercial Plumber | Tankless Water Heaters | The Woodlands, Spring & Conroe Texas! M&C Orsack Plumbing Company has been servicing residential and commercial clients in Montgomery and North Harris County since 2000. We provide plumbing inspection, installation, troubleshooting, repair, service, maintenance, remodel and additions to plumbing projects of all scope and dimensions. From broken water mains to sewer repairs to kitchen and bathroom remodels, our plumbers are equipped to tackle whatever project you have in mind. The owner of M&C Orsack Plumbing Contractor is a Texas Master Plumber, License# 39065. Our commitment to quick, professional, and quality work has earned us the repeated trust of our clients. Knowing that a job is done correctly the first time gives our customers a peace of mind and it is an approach that has helped solidify our customer’s sense of trust in us. 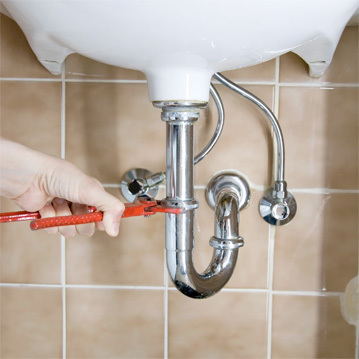 Our skilled, licensed plumbers are relied upon daily by groups that manage some of the largest commercial properties in The Woodland’s metropolitan area. At the same time, we are also trusted to care for the service needs of the most humble home. 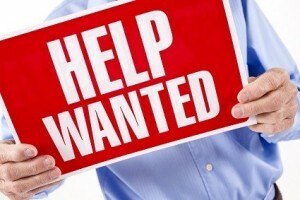 Experienced Plumber’s Help Wanted for Plumbing Service and Remodels for M&C Orsack Plumbing Company! Must have own ride, clean driving record and credentials. Call Us on (281) 301-5015. We are qualified, experienced plumbing professionals and strive to excel at every aspect of customer service beginning with answering the phone courteously, performing the work quickly and efficiently, and ending with the lasting quality of our workmanship. We commit to be the best plumbing service company there is. Over the last decade and a half, we have built a reputation for professionalism and excellence, which we work tirelessly to maintain. Our greatest achievement is to have our clients refer us to their family, friends and colleagues. Contact us today to see why so many people rely on the expertise of M&C Orsack Plumbing Company and why those clients continue to call us back when new plumbing problems arise. We are an accredited business with an A+ rating at the Better Business Bureau – see if our name doesn’t garner the respect and trust that we claim. We can meet all of your plumbing needs and we specialize in tankless water heaters too! Proper Water Heater Installation Could Be Life or Death! From the initial roughing in of hidden pipes to the final installation of fixtures, we are the right choice for all of your plumbing needs. A serious plumbing malfunction can quickly escalate into thousands of dollars that halt your business practices and hampers your living situation. If you have the slightest plumbing issue, don’t delay; contact Orsack Plumbing today! © 2014 M&C Orsack Plumbing Company. All rights reserved.